This new JAM program is sponsored by the Wayne C. Henderson School of Appalachian Arts in Marion, VA and is for children throughout Smyth County. Beginning in January 2016, this program has been greatly successful so far with an enrollment of over 90 kids! 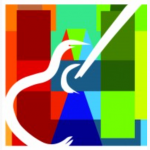 Classes are offered in beginner fiddle, clawhammer banjo and guitar, as well as string band and enrichment activities. The program is held on Tuesday afternoons at the new School of Arts on Church St. in Downtown Marion. Two satellite sites have also been added in the fall of 2016 and include Northwood High School on Thursdays and Rich Valley Elementary on Mondays. A level for intermediate students is also being offered on Tuesdays at the Henderson. Smyth County, Virginia is located in the Southwest region of the state which is rich in cultural traditions, as well as natural beauty. 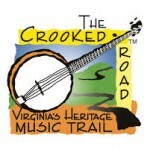 The area is on The Crooked Road: Virginia’s Heritage Music Trail and celebrates many historic old time and bluegrass musicians, as well as numerous current players of traditional music. Copyright © 2019 Junior Appalachian Musicians | Junior Appalachian Musicians® is a registered trademark of Junior Appalachian Musicians, Inc.